An obstetrician, Oral Ataniyazova fought the damage to public health caused by the shrinking of the Aral Sea, which has led to increased salinity and concentrated pollutants, huge dust storms and changes in the regional weather. Over the last several decades, the Aral Sea, once one of the world’s largest inland seas, has shrunk to almost half its size. By 2007, it was down to almost 10 percent of its original size. Early in the Soviet era, the entire region along the Amu Darya River (which includes Kyrgyzstan, Turkmenistan and Uzbekistan) was designated for cotton production and the river was dammed to divert water for irrigation. The heavy use of pesticides and defoliants needed for this monoculture crop, as well as heavy metals from mining operations, and discharge from chemical and biological weapons factories severely polluted the region. Today, the groundwater in the region surrounding the sea is no longer suitable for drinking and each year tons of salt from the dry seabed blow onto nearby fields, resulting in the loss of thousands of acres of farmland. Women and children were among those most affected by the Aral Sea crisis. 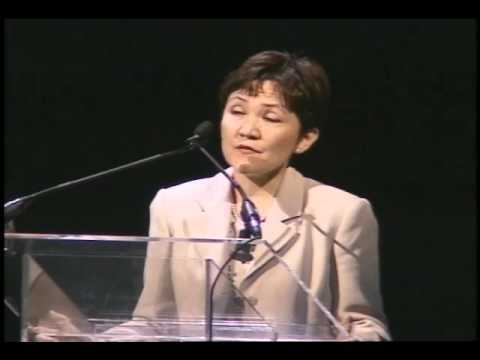 In 1992, Oral Ataniyazova, an obstetrician who also holds a doctorate in medical science, established Perzent, the Karakalpak Center for Reproductive Health and Environment, in order to help the women and children of Karakalpakstan, an ethnically distinct and autonomous republic of Uzbekistan. Due to the severity of the pollution in the area, it is believed that its entire population has been exposed to dangerous chemicals over extended periods of time. Public health in the region has deteriorated with the worsening ecological situation with increases in the rates of anemia, kidney and liver diseases, allergies, tuberculosis, birth defects and reproductive pathologies. In addition to scientific research, family planning and medical assistance, Perzent offers a wide range of educational and community programs that focus on raising public awareness about the region’s environmental and health problems. Most of Ataniyazova’s activities concentrate on women and how they can improve their lives, including family health and the quality of food and water. Perzent trains local groups in areas such as health and hygiene, sustainable agriculture, as well as women’s and children’s rights. With branches in several rural districts, Perzent has created a 50-acre organic farm, a women’s clinic and a publishing house. To fully involve the local people, Perzent actively solicits ideas from communities for practical solutions to the region’s problems. More than 10,000 people have been involved in the organization’s activities. Ataniyazova has worked on these issues at the national, regional and international levels. As an expert in reproductive health, she has been a key spokesperson addressing various international agencies, including the United Nations. Despite many difficulties during the past two decades, Ataniyazova has helped improve the health and status of women and children in one of the world’s most dramatic ecological hot spots. Undaunted, she continues to speak out about the crisis that is destroying the lives of her patients and the future of their communities. Today, Ataniyazova remains involved in Perzent as Chairperson. She has also broadened her efforts to improve Uzbekistan’s human and environmental health by taking on several new leadership roles. In 2001, she became rector of the Nukas branch of the Tashkent Pediatric Medical Institute, which prepares and trains medical students in environmental medicine, a field that focuses on human health aliments caused by environmental pollution. In 2009, Ataniyazova won a seat with the local Parliament of Republic Karakalpakstan.